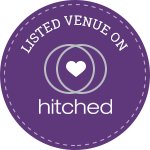 Organising your special day can be an overwhelming experience and with so much choice it can be challenging to know where to begin. Denbies Wedding Fairs, Open Days and Evenings are designed to assist you with your planning. They are a great opportunity for you to meet a wide selection of services from Denbies favourite selected local suppliers. Come join us at one of our unique Open Evenings and Wedding Fairs in Surrey. Set in 265 acres of vines we offer you and your guests a wonderful location, unrivalled breathtaking vineyard views and a warm welcome from our experienced team leaving you to relax and enjoy the celebrations. As a privately owned and managed estate we pride ourselves on individuality and enjoy offering bespoke packages to ensure we create a wedding day you and your guests will always treasure and will never forget. Our wedding fairs also give you a preview of how your wedding at Denbies Wine Estate could be. See below to contact us to make a reservation or for further enquiries. You can also download our free wedding brochure by submitting your details below. We look forward to meeting you at our future wedding fairs here at Denbies Wine Estate.